This autumn, the bigger, the bolder, the better. When it comes to autumn dressing, our wardrobes usually consist of chunky knits in sombre shades of oatmeal, charcoal and cream. But this season, designers, celebs and fashion bloggers alike have embraced a "look at me" mentality when it comes to this fall staple. 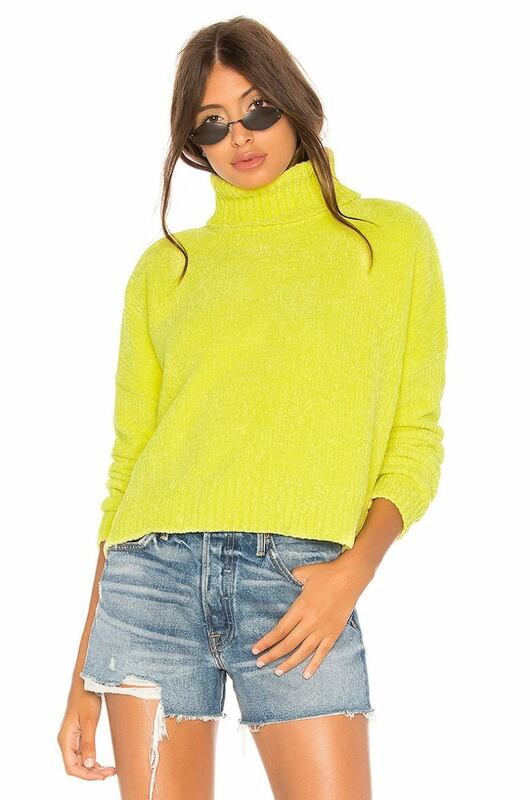 Don't be intimidated by this eye-catching trend — neon knits are surprisingly easy to style. They look just as dreamy over a midi skirt as they do paired with your fave pair of jeans. 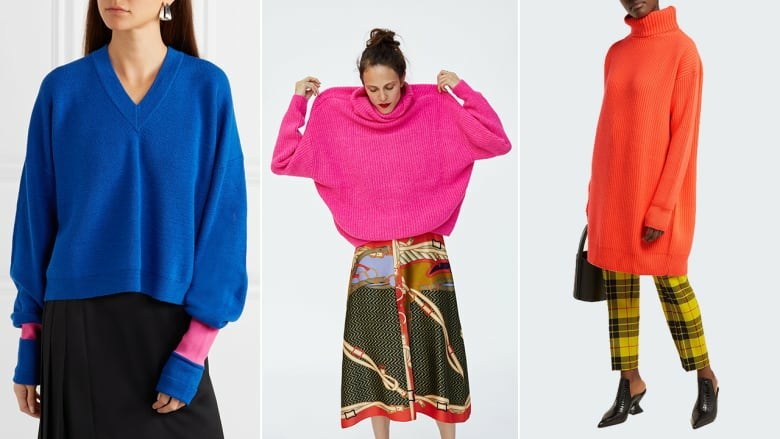 From bright colours to statement stripes and more subtle pops of colour, your cold weather wardrobe will be anything but bland thanks to these stand-out sweaters. 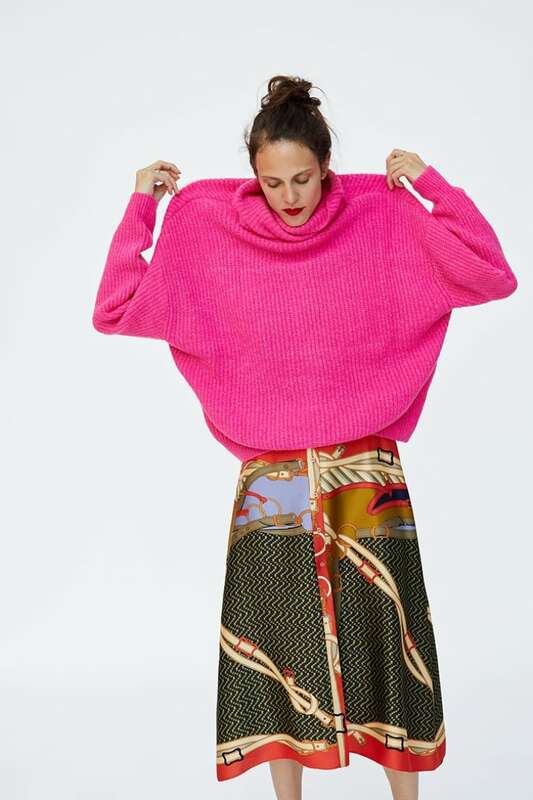 This oversized sweater, in a rich hot pink hue, will liven up even the most minimalist of closets. To avoid getting lost in the roomy fit, sport it with a French tuck (if you watch Queer Eye, you know exactly what we're talking about) in some dark-wash skinnies, or go all-in and wear two trends at once: a neon knit with a scarf print skirt. It doesn't have to be the Fourth of July to rock some stars and stripes. This red-and-pink jumper with the iconic Wildfox star logo is even more playful with leopard leggings, but only if you dare. Too wild for you? This piece is equally chic with white trousers. Plus, you can totally break it out again for Valentine's Day. This red-hot number will not only keep you warm, but it will upgrade any outfit in 10 seconds flat. Layer it over equally bright trousers for a head-to-toe eye-catching ensemble, or wear it with over-the-knee boots and a top-handle bag à la Ariana Grande. 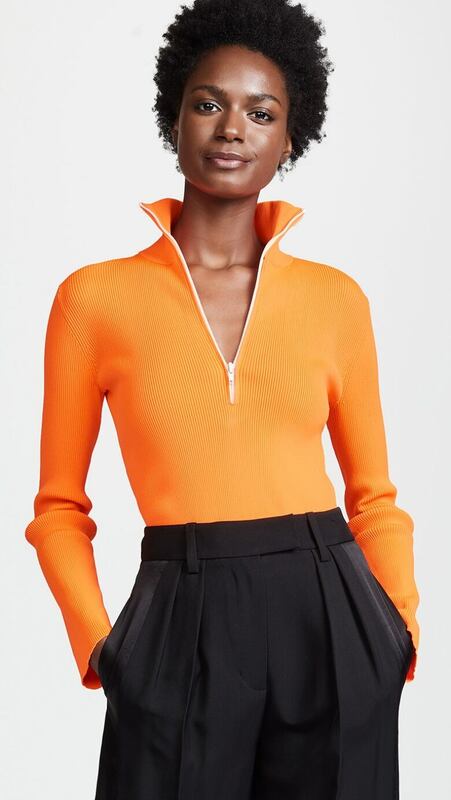 Add a little dash of sportiness to your daytime look with this tangerine zip up pullover. The white zipper, subtle ribbing and fitted silhouette make this piece perfect for layering under your fall trench coat or standing on its own with a pair of classic trousers for your 9-5. 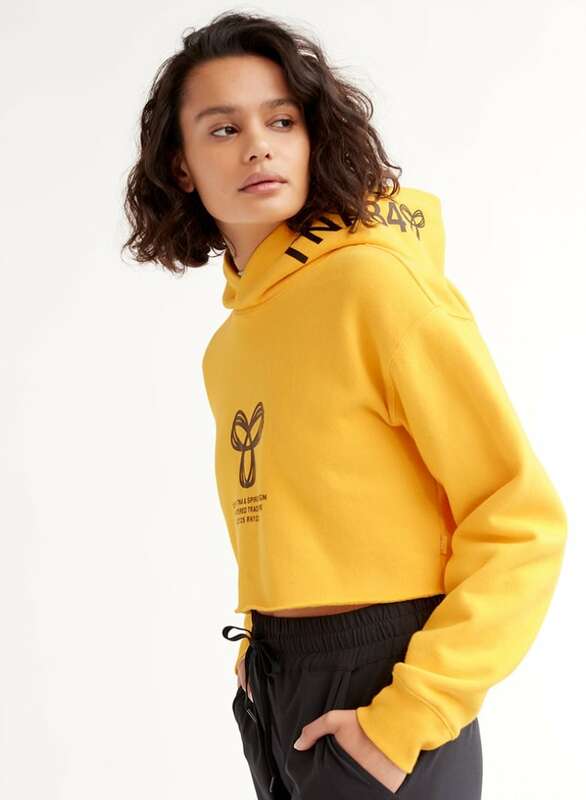 This citrus-hued hoodie is our topper of choice for lounging at home, but the cropped fit, on-trend logo and yellow colour make it more street style than lazy Sunday. This sweatshirt is just begging to be worn with joggers and grandpa sneakers for a covetable athleisure ensemble. When we think of neon, this shade of highlighter yellow comes to mind. When rocking this '80s-inspired hue, we recommend throwing on your fave pair of micro sunglasses and distressed denim for a go-to weekend look that is more high-fashion than Fresh Prince of Bel Air. 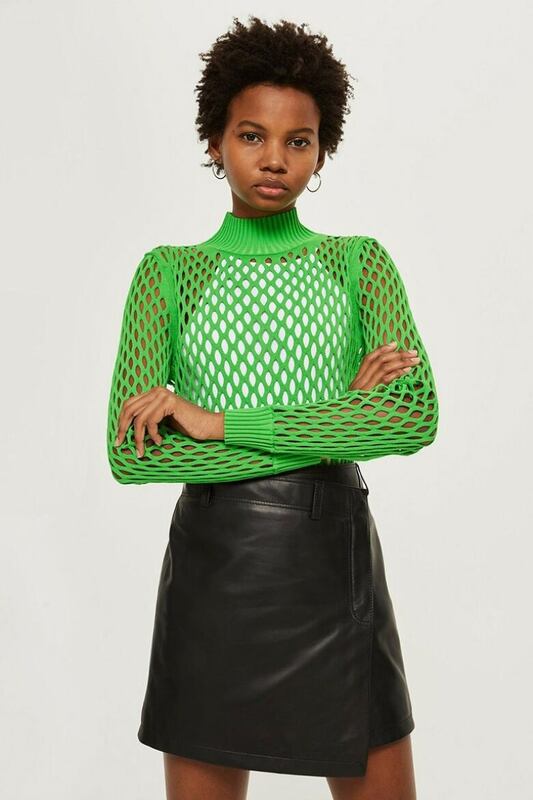 The mesh-like holes of this neon green number add just the right amount of athleisure edge to any outfit. For a fierce going-out look, pair this see-through sweater with a black bralette, leather skirt and sneakers to really let the neon shine. 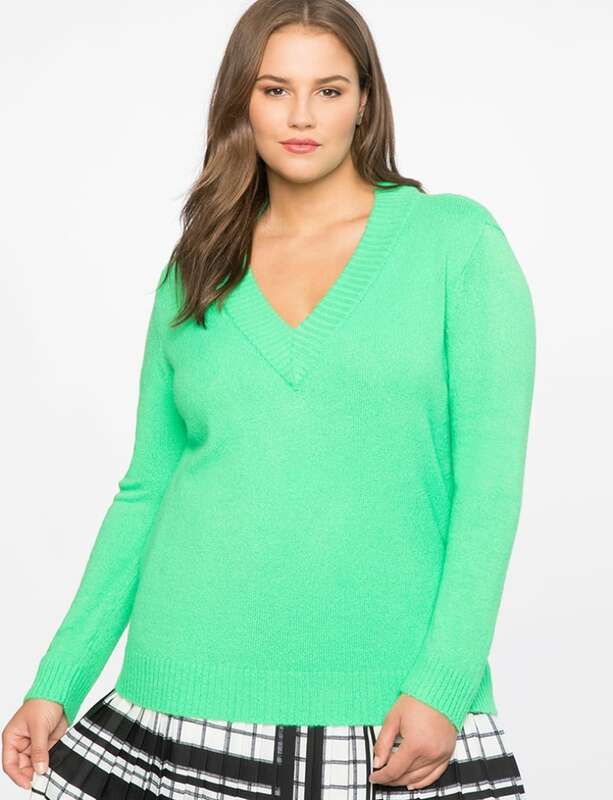 We're into everything about this sweater, from the neon mint colour to the flattering V-neck (and the fact that it's available in sizes 14 to 28). Layer it over a white button-down shirt or a plaid mini for a polished prepster vibe that even Cher Horowitz from Clueless would utterly adore. Neon knits don't always have to be runway-ready — this turquoise jumper will become a weekend staple. Comfort is key, so a pair of ripped jeans, white sneakers and delicate jewelry is all you need for grocery shopping, brunch and coffee. 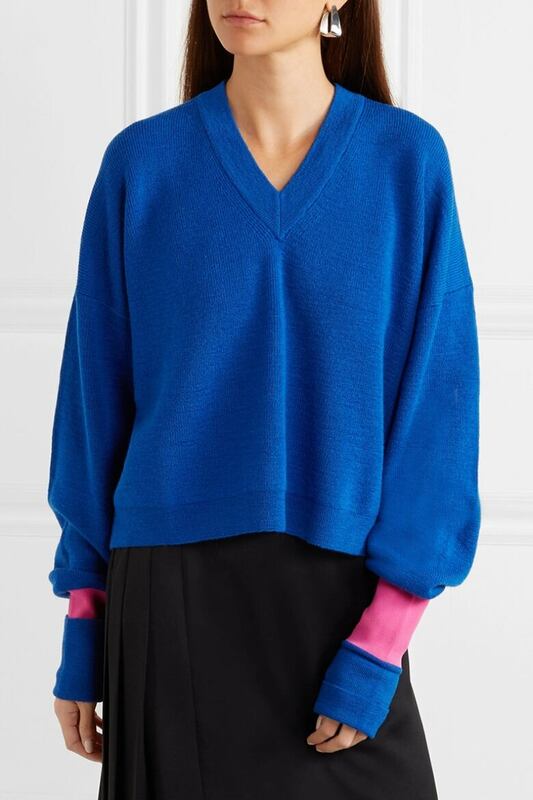 Not everyone's style calls for in-your-face colour, so this two-toned sweater is the perfect way to add a subtle pop of neon without committing to a whole head-to-toe look. Winter is coming but that doesn't mean your youthful summer style has to go into hibernation. 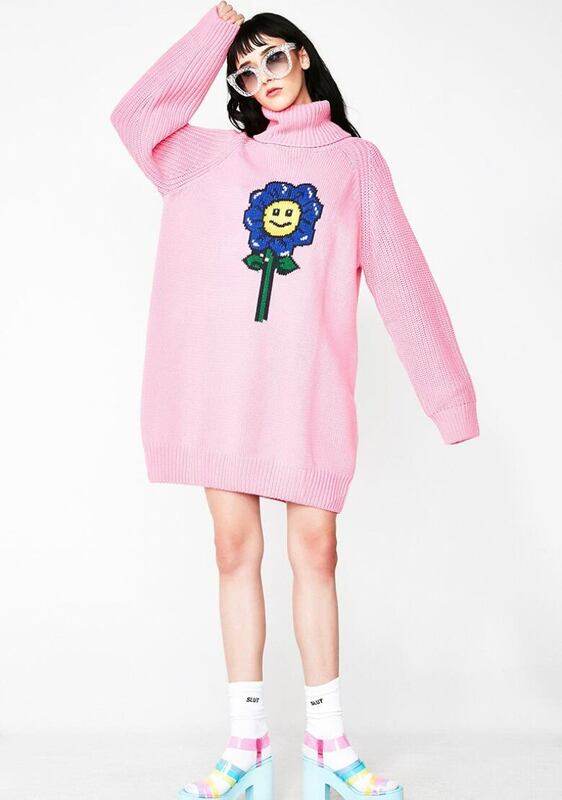 Keep this baby pink sweater dress from looking too sweet by pairing it with biker boots, fishnets and over-the-top specs for a look that is bold and seriously badass. 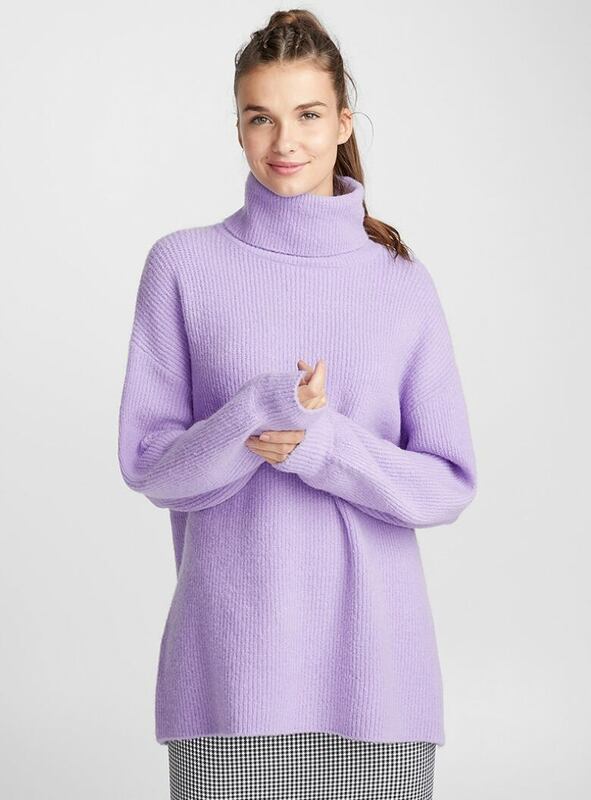 If lavender is the hue that speaks to you, this ultra-soft turtleneck sweater will be your cold weather staple this season. 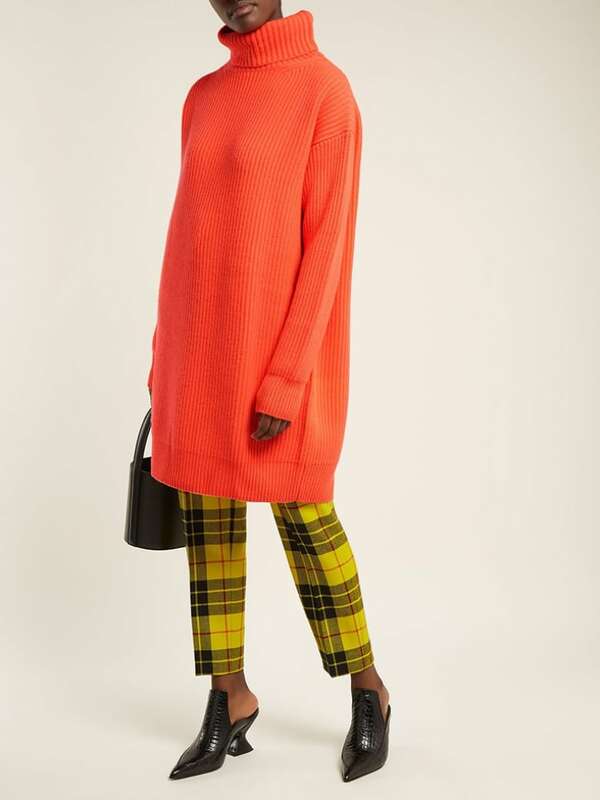 This colour is on the subtler side of the neon spectrum, so let it be the centre of attention with a checkered pencil skirt, heeled mules and a chic belt bag for the office. Victoria Christie is a freelance journalist, feminist and fashion enthusiast based in Toronto. You can follow her colourful adventures on Instagram at @victoriachristie96 and Twitter at @vchristie96.